Park Landscaping’s talented staff are responsible for some of the most beautifully landscaped yards in the Greater Edmonton area. 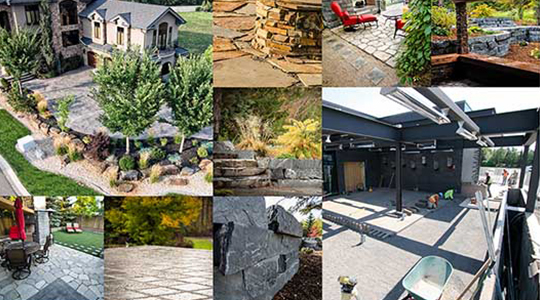 They sought our help in creating a subtly-branded, clean and service-oriented web presence to introduce the rest of the world to their expert grading and landscaping services. 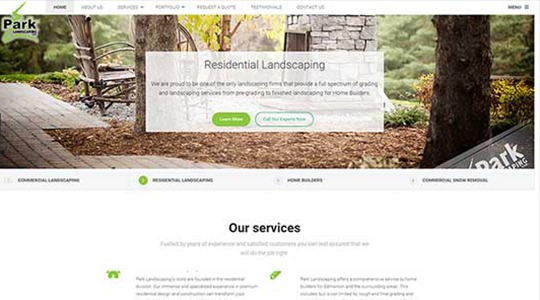 We implemented a WordPress content management system to put the power of ongoing content changes in the hands of Park Landscaping’s in-house marketing team. With a powerful WordPress content management system (CMS) website serving as the solid foundation, we implemented clean and complimentary graphic design to ensure an even measure of eye-catching imagery and text content. The staggered high-contrast photos keep the viewer from losing interest in the high volume of text information, but with so many amazing past project photos to show off, it’s important to maintain a balance of quantity and size to avoid becoming cumbersome on thin internet bandwidths. 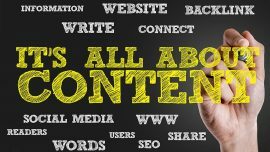 This is especially true if data compression or a content delivery service is not being utilized. While a fairly commonplace item, implementing a photo or image gallery on a website is a great way to provide a level of interactivity and enhanced user experience. 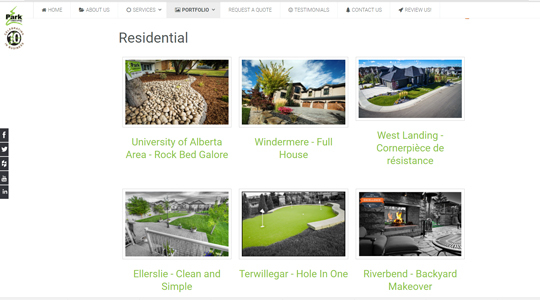 Showcase products, ideas or portfolios in a visually appealing way using custom website development solutions or third-party plug-in options. 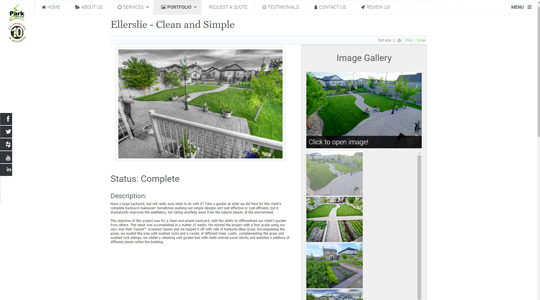 Literally thousands of configurations already exist for image galleries and custom solutions are available for that ‘just right’ presentation. Parallax website backgrounds are graphical images placed in web pages and coded in such a way as to move across the users view or ‘camera angle’ slower than foreground images to produce an illusion of depth in a 2-dimensional scene. The effect adds a sense of immersion and affords additional creative opportunities for website designers and website developers to flex their creative muscles through creative application to the design strategy. Looking to add some ‘eye-candy’ to your website? Contact us today! Captcha form security and spam filtration features through custom solutions or trusted plug-in solutions such as WordFence for content management systems are very effective ways of ensuring spam-bots and hackers don’t abuse your website. Interested in better security for your website? Contact our experts today. Alchemy Imageworks has provided me with nothing but professional and unique designs for my business cards, and my website! If you want innovative, attractive and just sharp looking designs for your business ...look no further. I wouldn't go anywhere else. Not to mention the Facebook profile picture and cover photo for my business! Really makes it pop. Thanks so much for everything! I've worked with Kelly twice now on company logo projects. He has a talent for interpreting the non-artistic descriptions customers give and coming back with amazing options, honing them down, and producing an outstanding product. He knows his trade, his business and his industry very well. I can't recommend him enough for both new and established businesses. Recently had a business card design by Alchemy Imageworks, I have to say that the design work is exceptional, very impressed and happy with the quality of work and the effort that was put in. Experienced designer. Will return for future services, a big recommendation! The team at Alchemy is amazing! They are always extremely helpful and very easy to work with. Highly recommended. You know your business. We know story, design and marketing. That’s why we create strong collaborative relationships with consistent two-way communication: to create better outcomes from start to finish. Office hours are Monday through Friday 9am-5pm, and Saturday 10am-2pm. If you have any questions or just want to get started on a project, contact us any time!